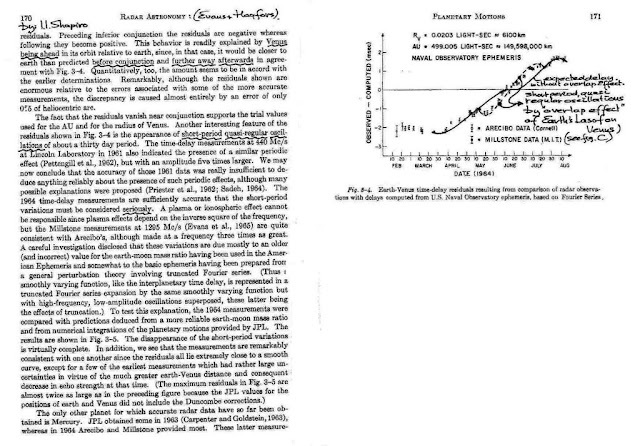 However it also explains why so many anomalies on mainstream physics are found. 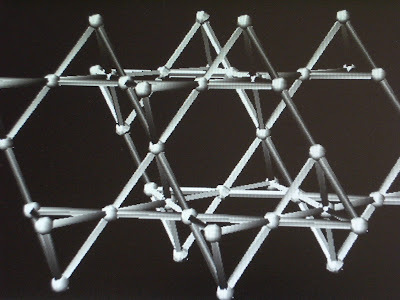 The TTS lattice structure is not very complex, see below. 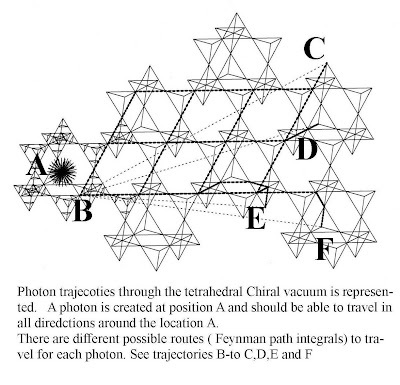 It represents the Photon trajectories through the TRUNCATED TETRAHEDRON VACUUM LATTICE. 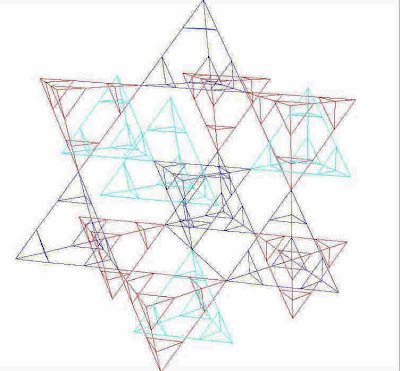 The lattice is assumed to be CHIRAL (left or right handed) by the orientation of each tetrahedron edge, which is divided in three linear parts (see tetrahedral details below around A and B). 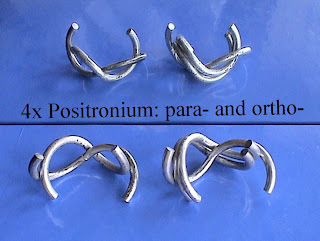 these three parts have the form of a spiral or helix. The spiral structure of the vacuum lattices gives the vacuum a chiral influence on spinning and merging particles and photonic polarisation. 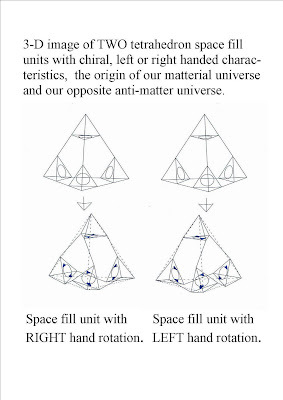 The chirality is the origin of our material universe. 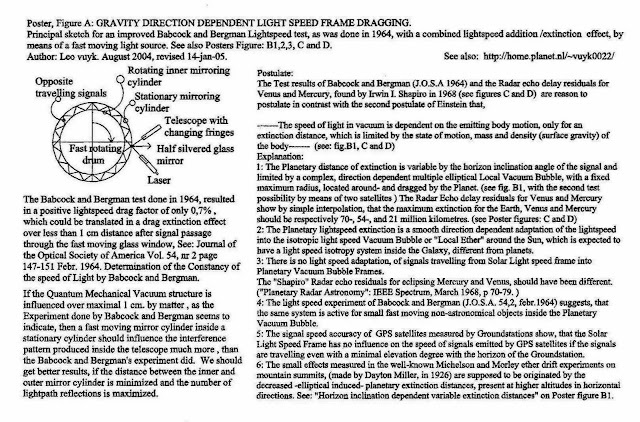 The Variable Lightspeed and Lightspeed Frame Dragging around massive objects. backdrop for all known physical phenomena." to be able to transfer photonic information properly. black hole and the Planck length will increase!!! The shimmering new standard model. 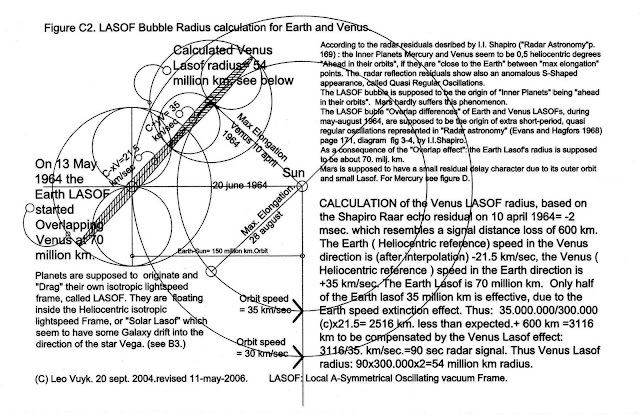 THE ADJUSTABLE HIGGS PARTICLE as the VIRGIN MOTHER of all particles! 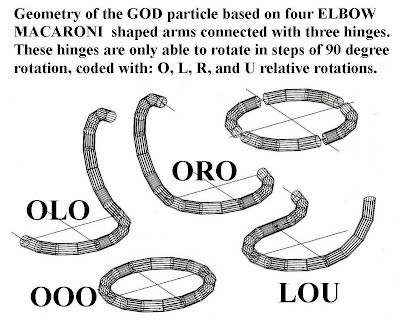 The shape of all the variable particles is based on 4x elbow-macaroni shaped elements connected to each other by three hinges. As a consequence, the Higgs boson can be coined "mother of all particles" and is also postulated as the origin of all ZPE (Zero Point Energy) oscillating along a chiral vacuum lattice. 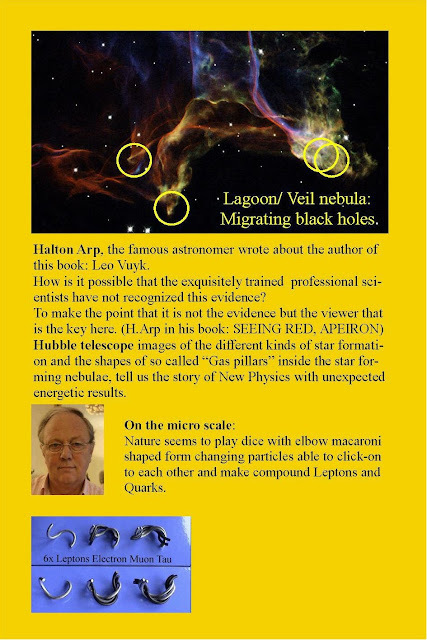 There is no need for the Higgs boson to have mass by itself, if it changes form by collision with fermions into mass representing gravitons (one of the 6 photons)!! We assume a classical view on spin half by suggesting that the rigid particle has a real complex double spin around two rotating axes. 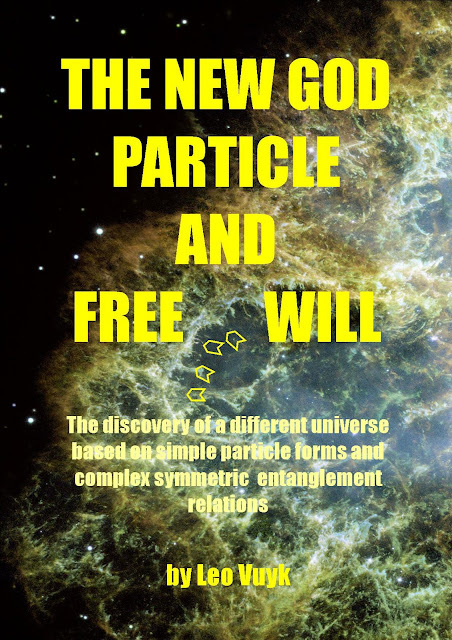 The starting logic is that out of one particle, the God or Higgs ( OOO.) particle, all other particles should be able to emerge by collisionary processes and some will cycle back into the Higgs. 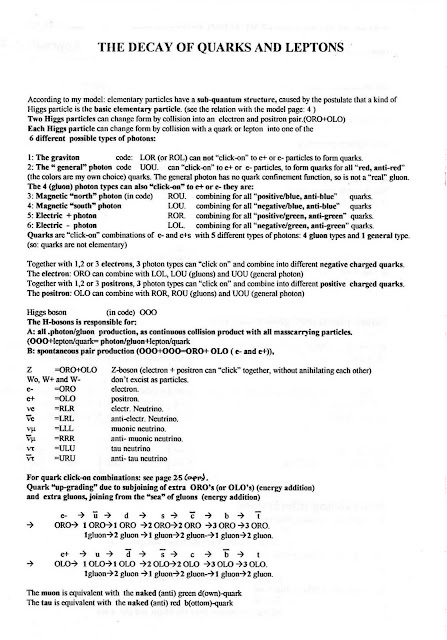 However: as a result, new particles like the combination of 5 different PHOTON/GLUONS are needed to create a logic system. 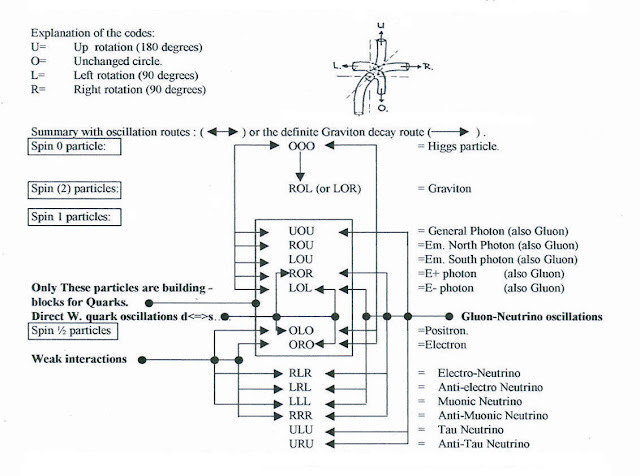 (see below) Photons and Gluons and the Graviton seem to have the same shape. As a result, 4 different shaped photons seem to cooperate to give birth of the electromagnetic force, we call them the dual magnetic and electric monopole force carriers. 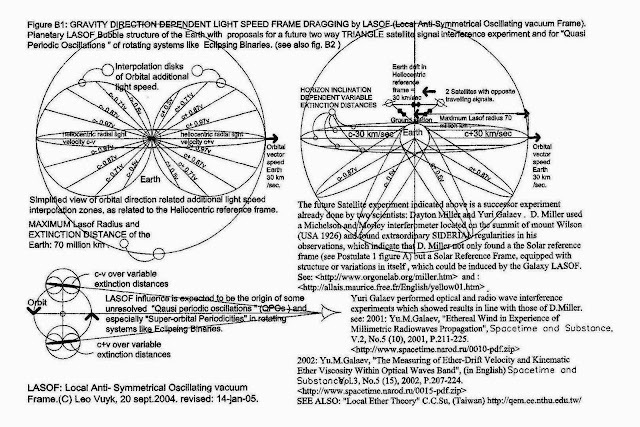 A symmetrical shaped fifth (general) photon/Gluon should be responsible for the Gamma, X-ray and visible light photon. 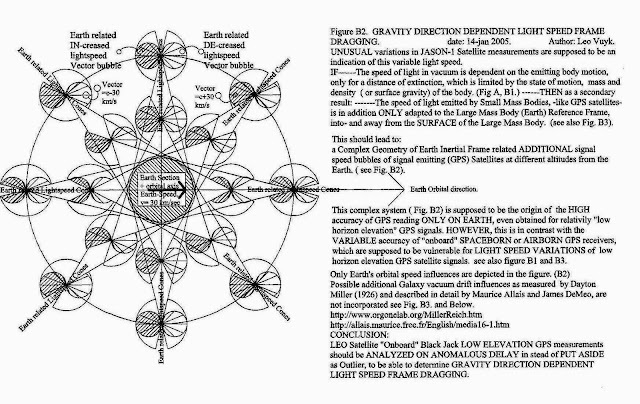 The Graviton for half of gravity. 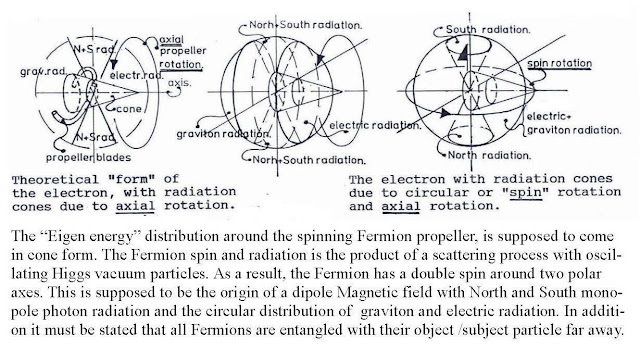 The Higgs has no mass from itself, it creates mass by the shape shangeing of its form and thus production of gravitons, after the collsion with the propeller shaped fermions. So called "massless Higgs doublets"are already discussed in some mainstream circles. As a consequence No Higgs will be found in the LHC at Geneva, only knotted rest particles of the LHC collisions as micro black holes or ball lightning. 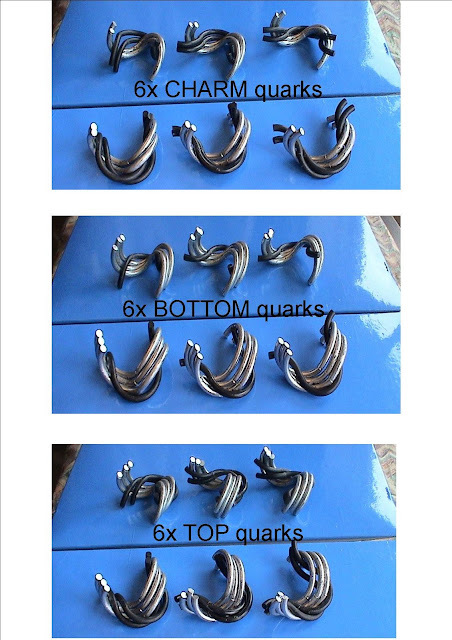 6x Photons, 6x Neutrinos and the 2x Electron and Positron propellers. 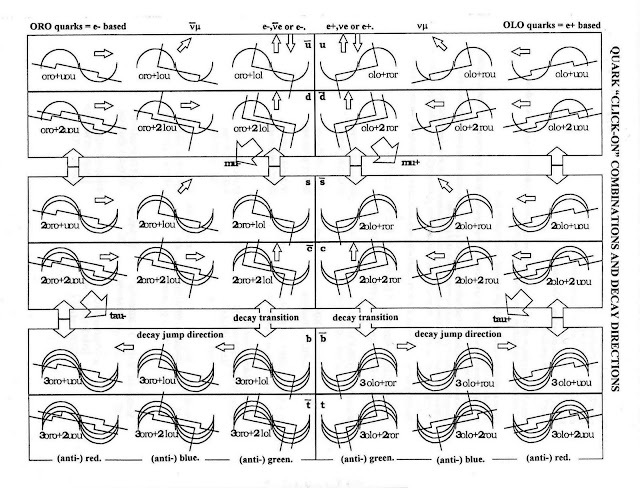 short living oscillations between Photon/Gluons Neutrinos and the Electron and Positron. 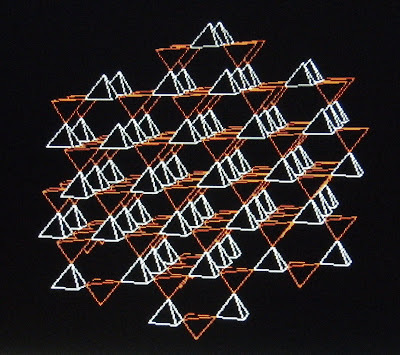 All elements for a new standard model? 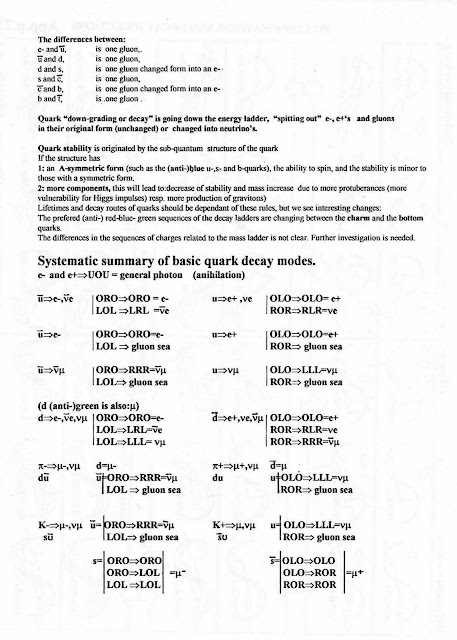 Muon and Tau particles are in fact also Compound particles thus Quarks. 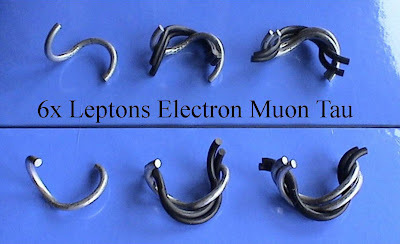 Muon is a Down Quark and Tau is a Charm Quark! HOW DO WE KNOW THAT THIS SYSTEM IS CLOSE TO REALITY? THE PARTICLE DECAY PROCESSES TELL US THE REAL STORY. 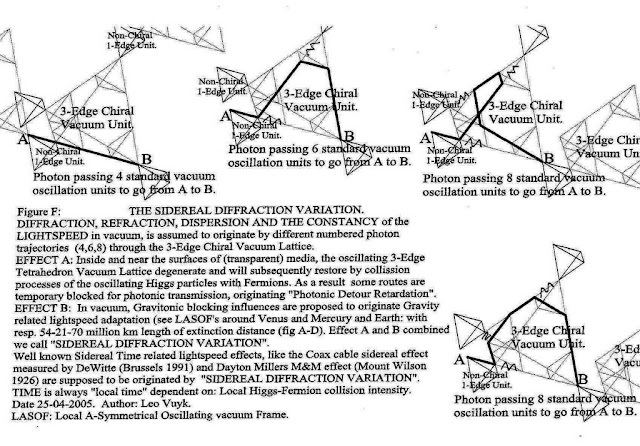 Particle and Cosmological Paradigm Shift by Geometric Logic of the Adjustable Higgs Particle. Particle Pair production around new paradigm Black Holes. 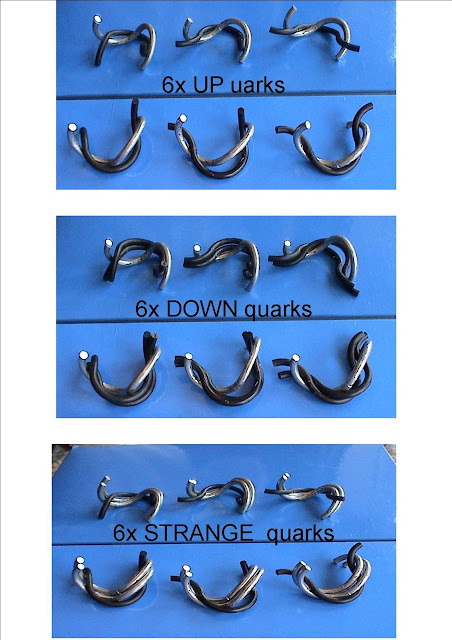 New Paradigm for Galaxy Anchor Black Holes (GABHs) outside Galaxies. New paradigm Gamma Ray Bursts (GRBs). The "splitting and pairing" black hole paradigm for universal complexity. 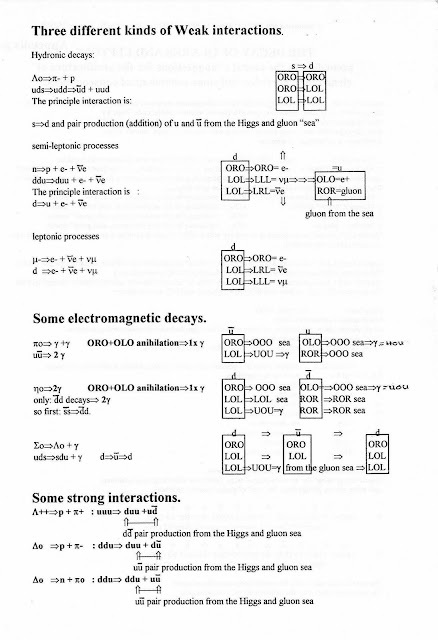 Electrons are real Higgs-cutting machines. The cyclic CPT Symmetric RASPBERRY Multiverse. Higgs-Graviton Quantum Gravity Mass in motion.